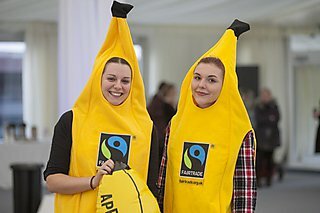 Students, staff and the community have been celebrating the ten year anniversary of Fairtrade Fortnight in Plymouth by joining a number of events at Plymouth University and across the city. 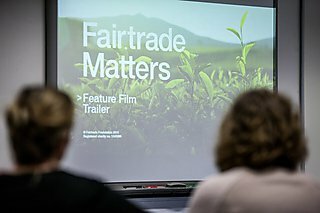 It’s 20 years since the first Fairtrade Fortnight in 1995 and six years since the University first got its Fairtrade status in 2009. 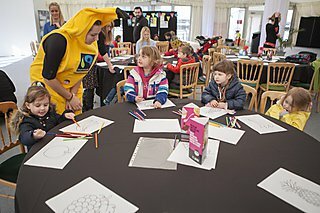 So what is Fairtrade Fortnight? 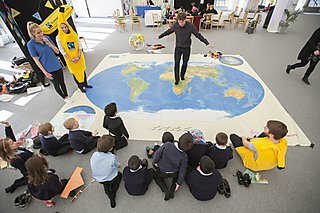 It’s an annual campaign to raise awareness of Fairtrade products. These are foods or crafts that have been produced under standards designed to end and prevent poverty, and ensure suppliers get a fair price for their products. 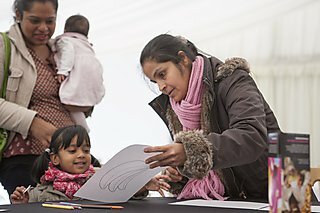 Events and campaigns are run across the country during a fortnight of celebrations and in Plymouth, the University hosted talks and films, a green book club and a learning journey for children from local schools at a Mad Hatters Tea Party. 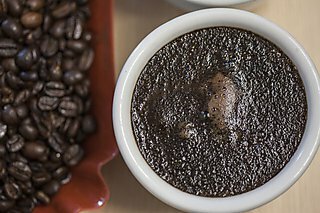 A Banana Hunt had staff and students running around the campus and coffee sampling and meal deals offered at the campus cafés. Take a look through our Fairtrade Fortnight 2015 gallery.